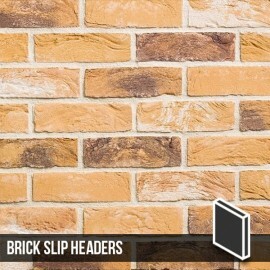 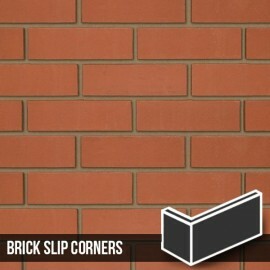 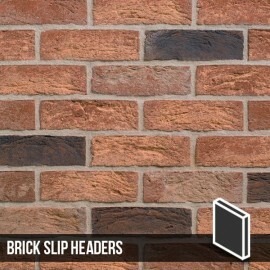 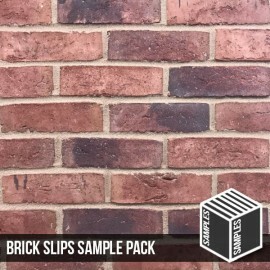 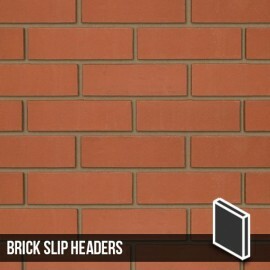 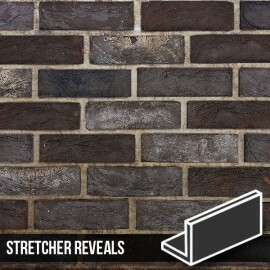 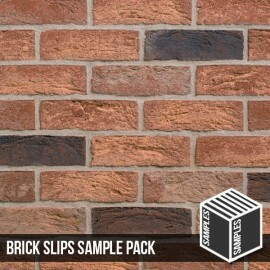 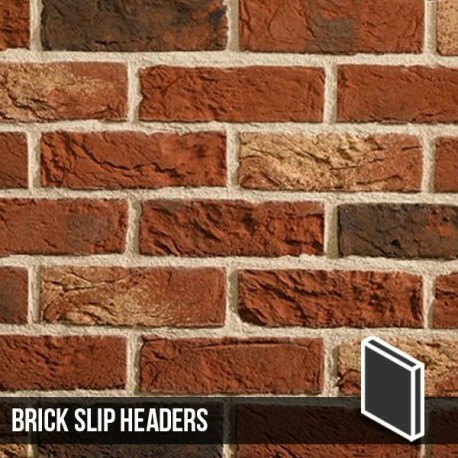 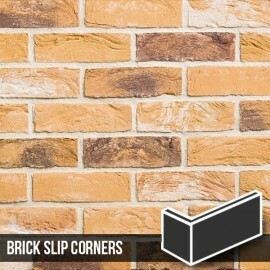 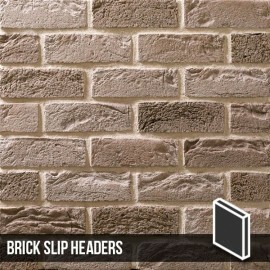 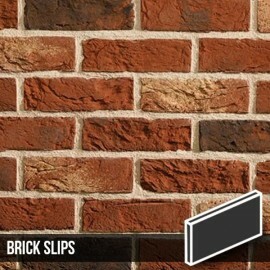 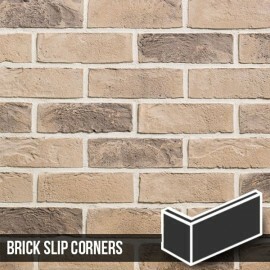 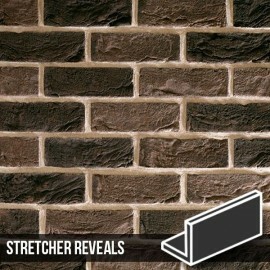 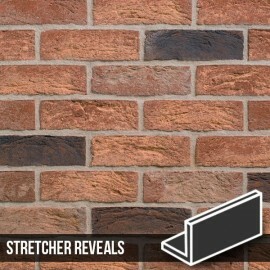 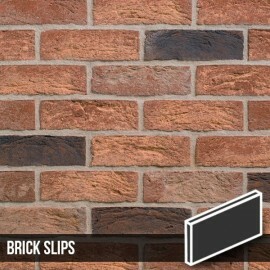 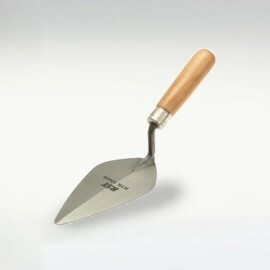 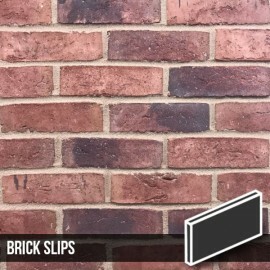 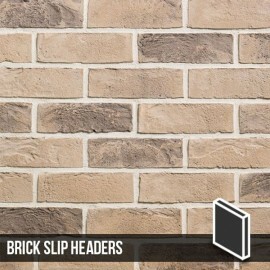 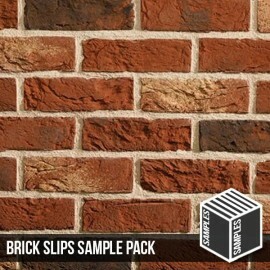 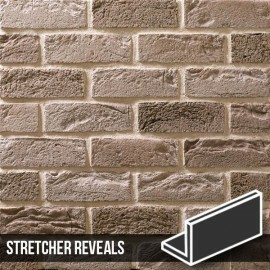 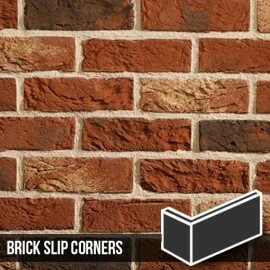 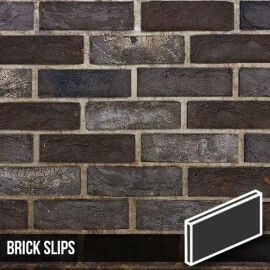 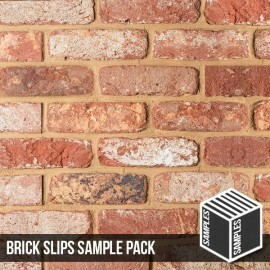 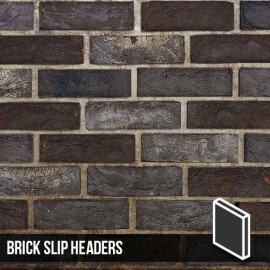 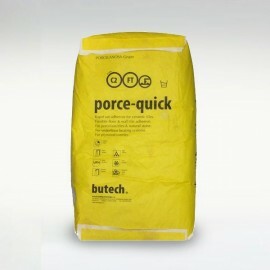 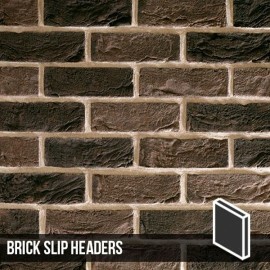 These brick slip headers corners are designed to be used in conjunction with our Knightsbridge Multi Brick Slips. 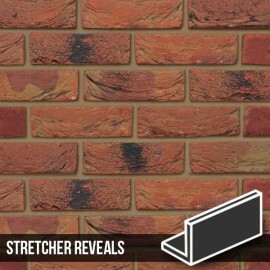 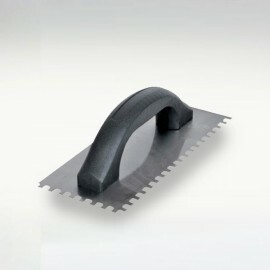 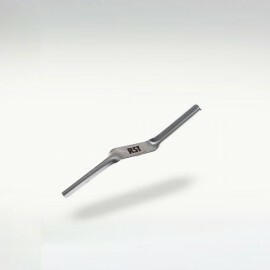 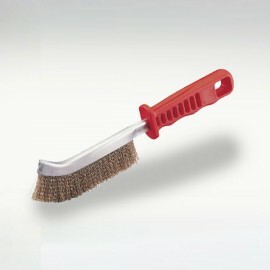 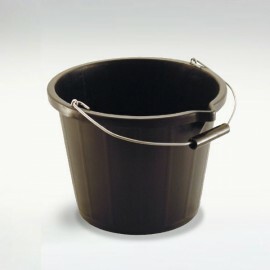 Knightsbridge Multi Brick Slip Stretcher Header. 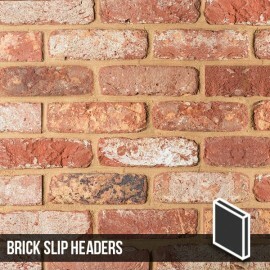 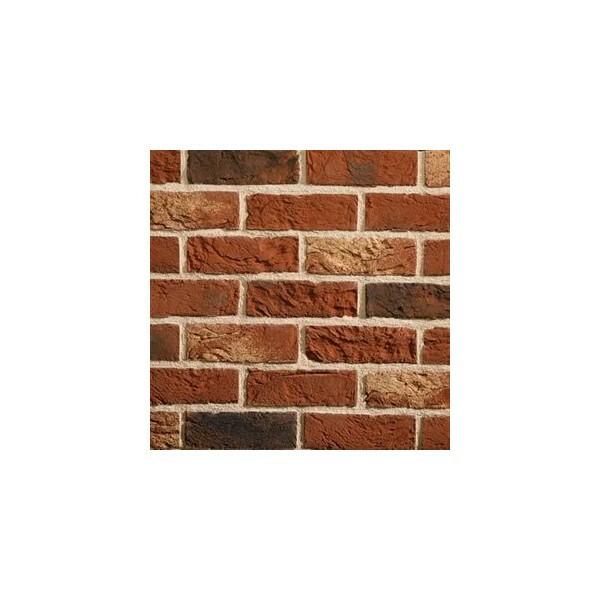 The Knightsbridge Brick Slip Headers are are cut from genuine bricks and have a heavy texture surface that emulates that of handmade bricks. 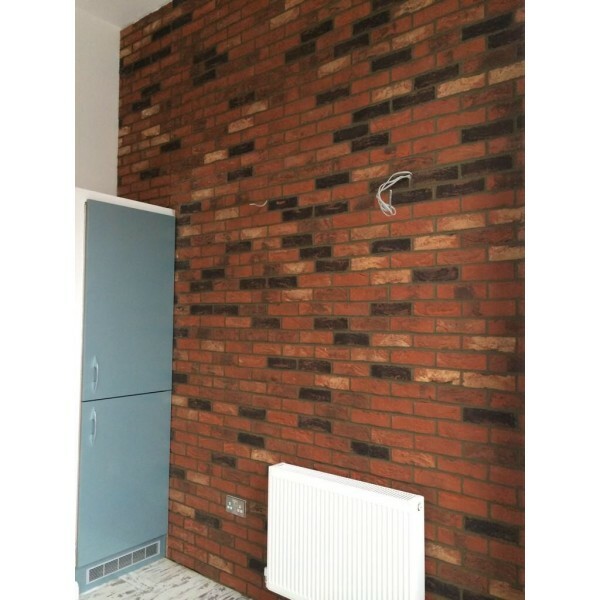 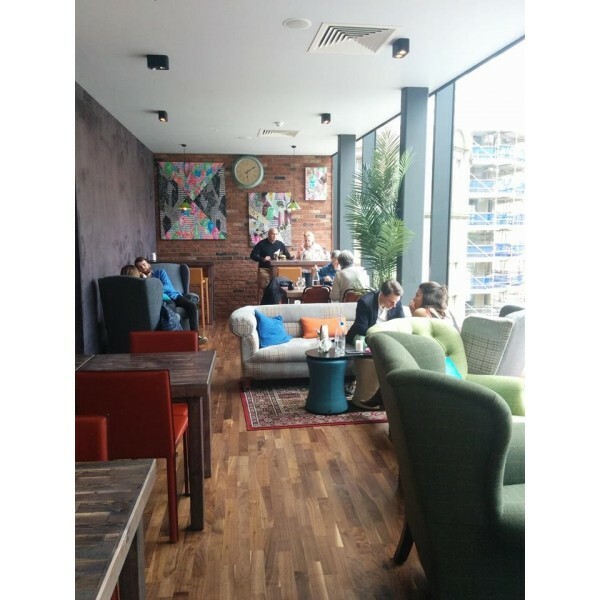 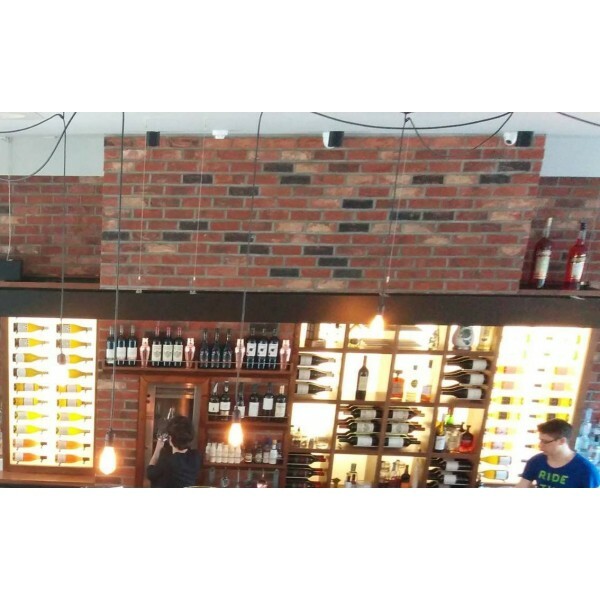 Having deep tones of reds combined with the dark blends and lighter colours allows for a very individual exposed feature brick wall.